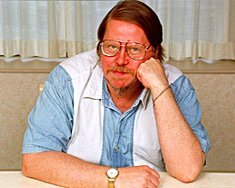 Gardner Dozois is best known as the editor of Asimov's Science Fiction, a position for which he has won numerous Hugo and Locus awards, and of the annual Year's Best Science Fiction anthologies. He also has a distinguished career as a writer. He won Nebulas two years in a row for best short story, for ''The Peacemaker'' (1983) and ''Morning Child'' (1984). He's published one solo novel, Strangers (1978), and three short story collections, most recently Geodesic Dreams (1992).